Visualize and manipulate your Enonic XP data. Data toolbox provides a web interface to visualize and manipulate your Enonic XP data. 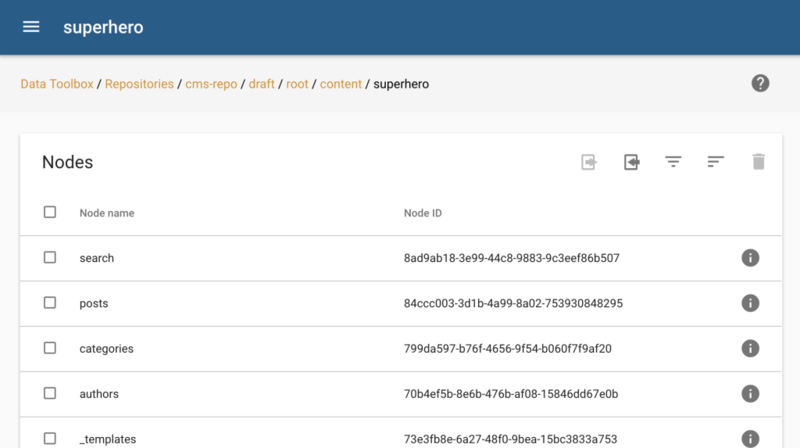 Browse and manage your repositories, branches and nodes. 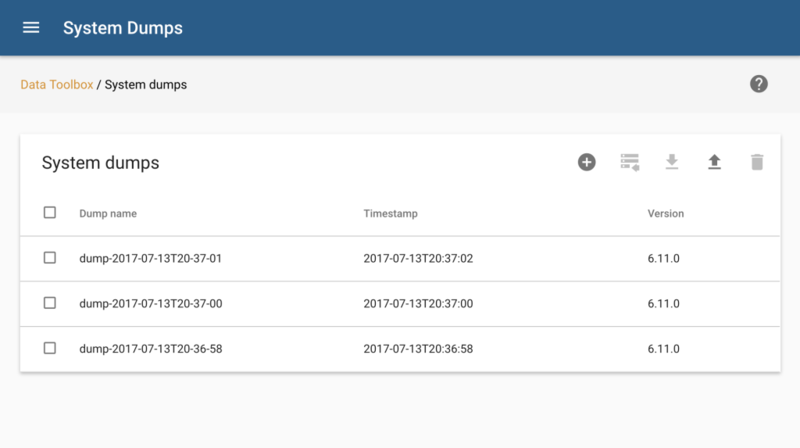 Record the state of your indexes at specific times. Rollback to these snapshots when needed. Generate and manage your system dumps. Generate and manage your content exports. Get 5 days free hosted version of "Data Toolbox" application for Enonic XP.